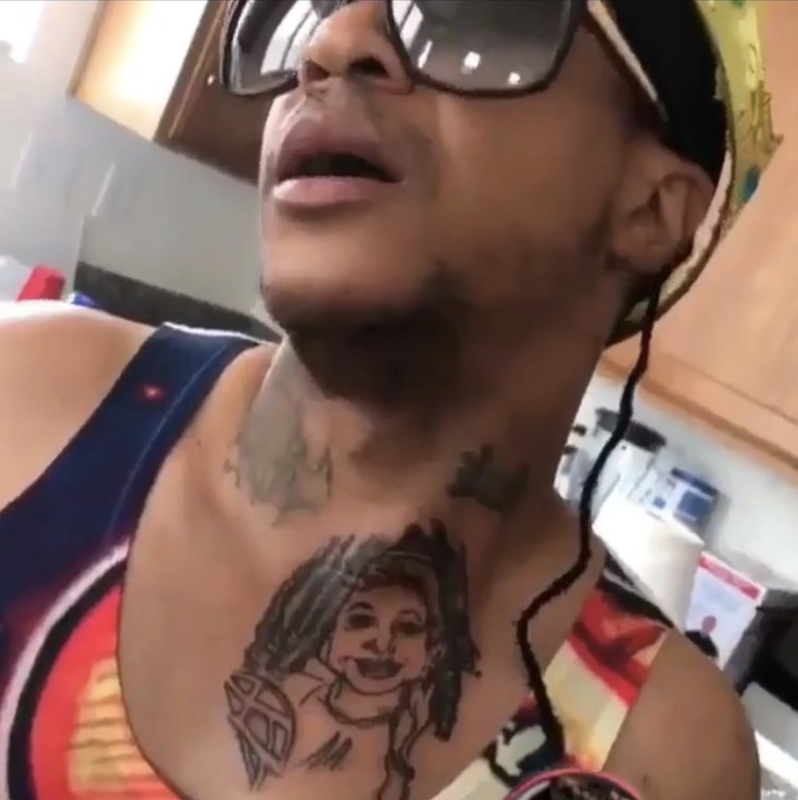 Earlier this week former That's So Raven star Orlando Brown showed off his new tattoo that many believed was his co-star Raven Symoné [click here if you missed that]. 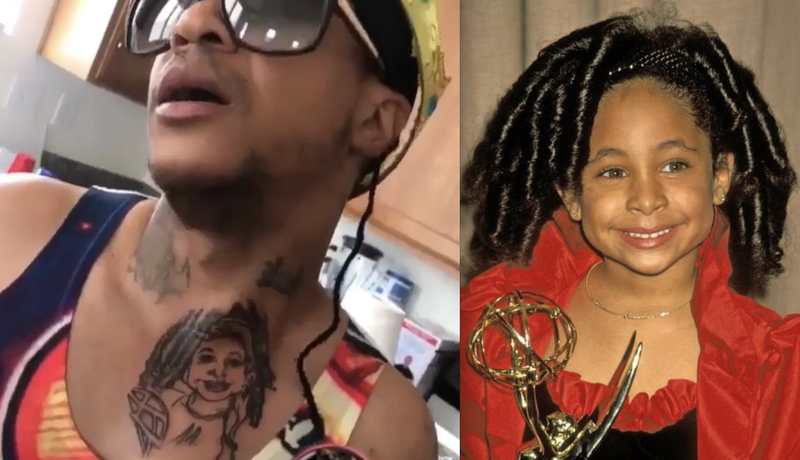 The tattoo was inspired by a picture of Raven at the 1991 Emmy Awards. Watch him, I hope Raven has security. Thats a cute weave lil Raven was wearing. He need to lay off that stuff, whatever "that stuff" is b/c this man done lost all his marbles. I very clearly remember Raven Symone being very pregnant and it was a hot media topic for awhile. I don't believe she had an abortion but that may be what they told him. Perhaps he was so deeply hurt it sent him over the edge to lose his child, thinking the baby was aborted. I think Raven had the baby, put it up for adoption or age the child to someone in the family raise. I think the Raven decided to be gay as a result. Yes, I remember Raven being pregnant too. But I thought it was from J Boog of B2K. I believe I read that in the jet or Essence mag back in the day. I remember seeing a photo of her preggers too, because it was she and I believe Monica that were pregnant at the same time and they did a double article on them ( may haven been Brandy, but I remember Raven being in the article because it shocked me).